Set between snowy peaks, the deep blue Pacific and the untamed national parks of British Columbia, Vancouver is that rarest of things: a vibrant city that is still firmly in touch with nature. No wonder it is a hugely popular destination for an English course. What’s more, it is also relatively inexpensive and you can have a great time with what’s left in your pocket after a night out. The money, that is, not the assorted till receipts, flyers and unidentifiable fluff. Here are ten great “summertime” things to see and do in Vancouver for $20 or less, as recommended by Rob Forman, activities manager at ILSC Vancouver. Grouse Mountain got its name in 1894 when a hunting party shot a blue grouse bird while out walking in the hills around Vancouver. Nowadays, you can ski or snowboard on the mountain in the winter or enjoy the Grouse Grind for free in the summer (the cable car back down for $10 is recommended). 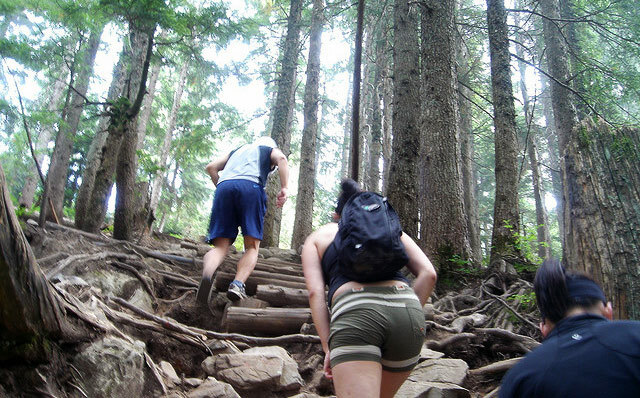 The Grind is a 2.9km long hiking trail through the woods that takes you through 853 vertical metres; your heart will be thumping by the time you reach the summit! Most people will complete the trail in 90 minutes but the all-time record of 23:48 was set by Sebastian Salas. 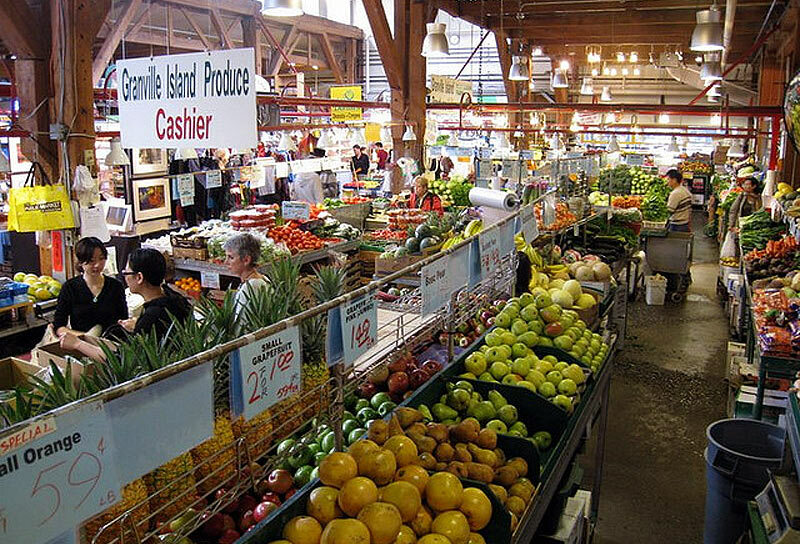 Vancouverites and visitors love Granville Island. Undeterred by the inaccurate name (it is technically a peninsula), people flock to the public market, theatre and art exhibits year-round. The market has a large number of colourful stalls where you can pick up everything from local farm produce to fresh Pacific fish from the morning’s catch. Homemade sushi anyone? A number of artists have their studios on the island, so you can visit them at work and maybe pick up something beautiful. Vancouver has different beaches for different tastes. Rob Forman, Activities Manager at ILSC Vancouver recommends English Bay, Kitsilano, Jericho, Spanish Banks and Wreck Beach as some of the finest. Hiring a bike for the day in Vancouver costs between $10 and $20. 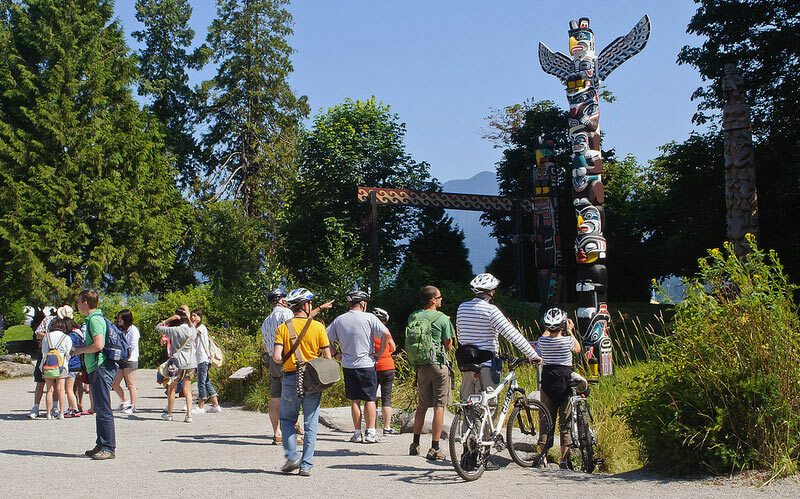 Once you have a ride, we recommend Stanley Park as the ideal place to stretch your legs. The 8.8km Seawall that runs around the edge of the park is a perfect route to get your blood pumping, after which there are loads of locations within the island to visit. A picnic at Third Beach is a great option for lunch, followed by visits to Beaver Lake and the totem poles at Brockton Point. People were living on Canada’s west coast long before George Vancouver arrived in the name of His Majesty King George III of Great Britain. Native tribes – “first nation” as they are known in Canada – had been in the area for more than five thousand years. The Museum of Anthropology at the University of British Columbia is one of the best places to see the art of the native people. Find out more at moa.ubc.ca. 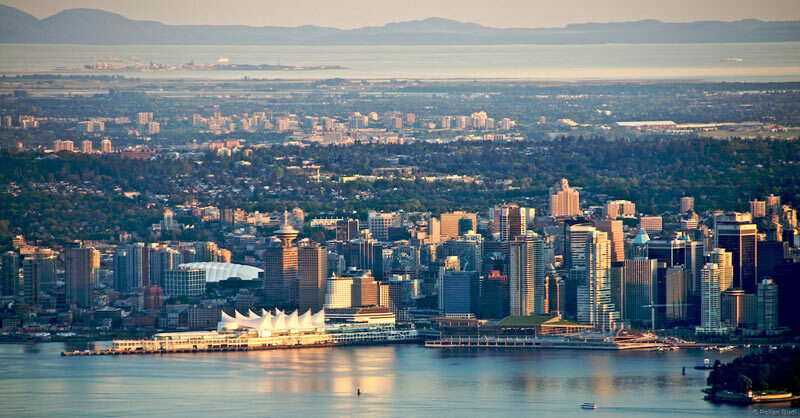 This is the place to go for a panoramic view of Vancouver’s urban skyline. Student tickets are around $11. 617 acres of prime British Columbia forest await, offering perfect spots for picnics, hiking and enjoying nature. There is an ecology centre where you can learn about the history of the park and the nature contained within. 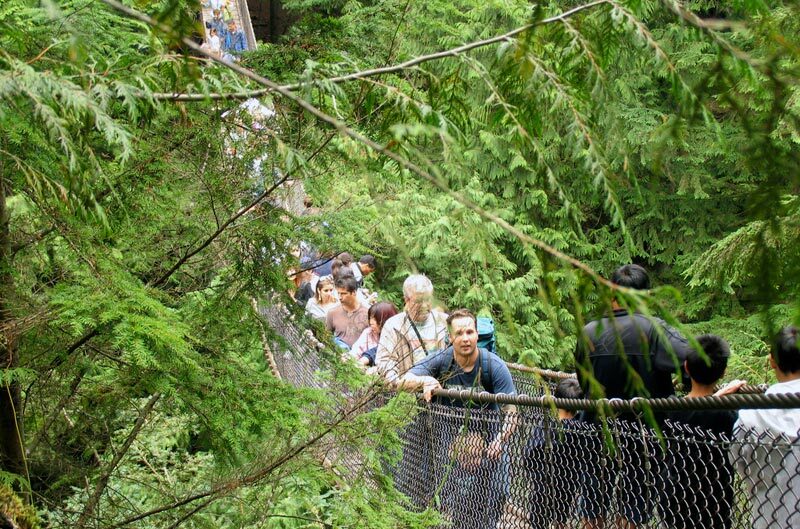 If you are feeling adventurous, the suspension bridge spans the canyon, 50 metres in the air. 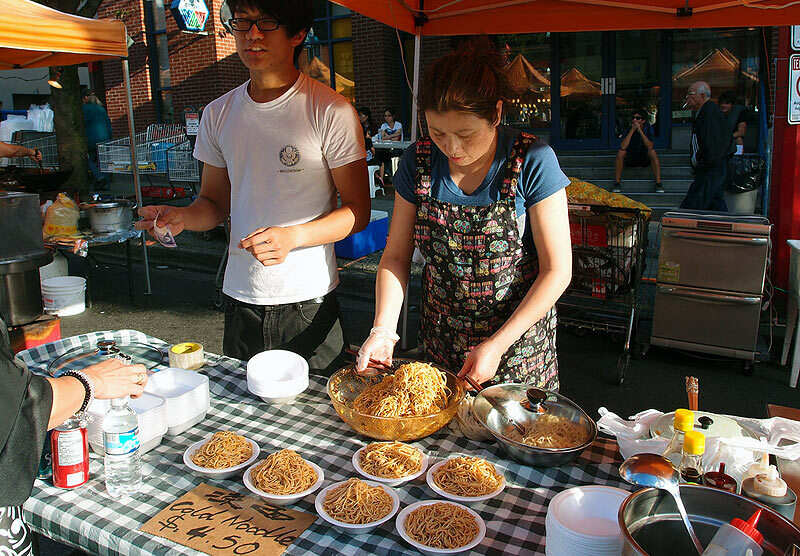 Weekend evenings from mid-May until early-September, the streets of Vancouver’s Chinatown are closed to allow a street market to sprawl out. And it is quite a spectacle. Food stalls stock all kinds of unidentifiable Asian imports, alongside toys, souvenirs and more practical products. Even if you don’t buy anything, it is worth visiting for the atmosphere alone. Although many of the water sports on offer in and around Vancouver cost more than $20, you can still find some bargains. For example, you could hire a kayak or a paddle board for an hour and head out onto the open water. The natural setting around Vancouver is inspirational and water sports are a great way to become more involved. 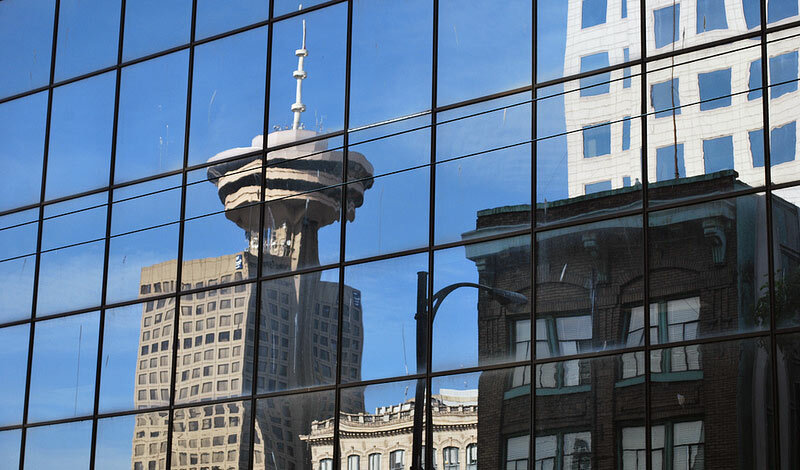 What are your tips for enjoying Vancity? You can share them in the comments section below, or find out more about an English course in Vancouver.